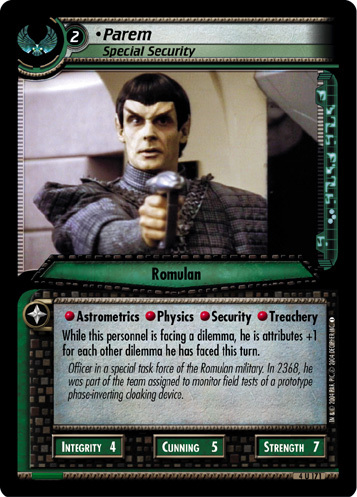 While this personnel is facing a dilemma, he is attributes +1 for each other dilemma he has faced this turn. 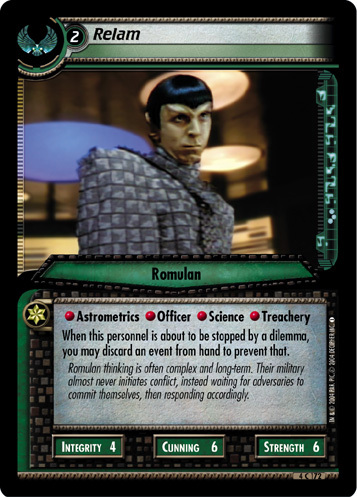 Officer in a special task force of the Romulan military. 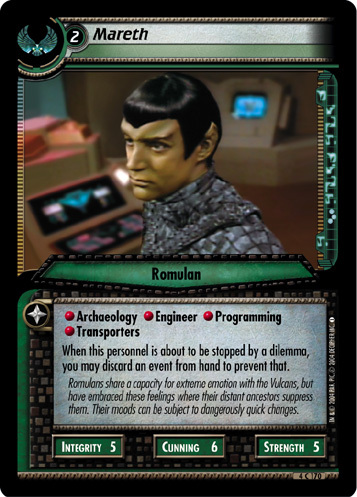 In 2368, he was part of the team assigned to monitor field tests of a prototype phase-inverting cloaking device.